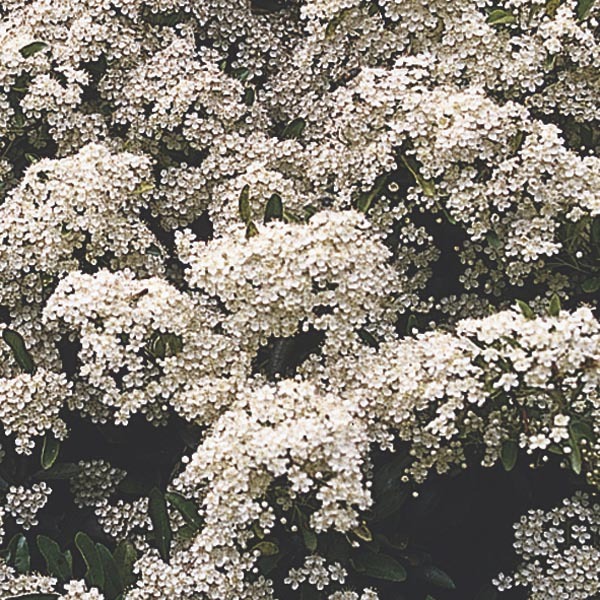 Pyracantha are spiny, glossy-leaved evergreens excellent as background, companion and hedging plants. Their abundance of colorful berry clusters in autumn brings a boost to the fading landscape. Depending on variety, the berries will be orange, red or yellow and are preceded by white blooms. A great choice for foundation plantings or hedges. Excellent for planting along fences and walls. Great for privacy screening or blocking unsightly views. Place in an area protected from cold, drying winds. Best in fertile, well-drained soil. Water regularly until established. Prune to maintain desired shape.